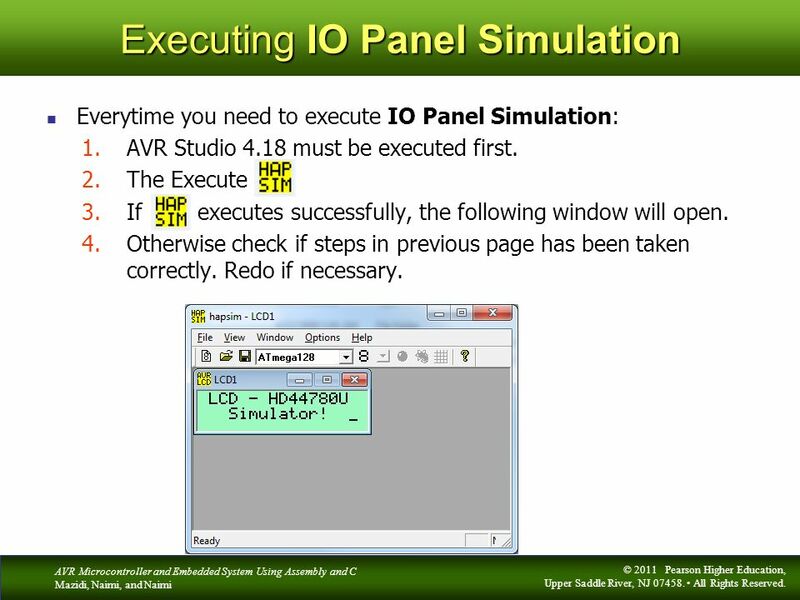 The IO Panel Simulation Installer is in folder \Lecture Notes\AVRStudio4\Installer Refer to AVRstudio IO simulation.pdf in folder \Lecture Notes\E-Books and Reference for tutorial on how simulate IO in AVR Studio 4. 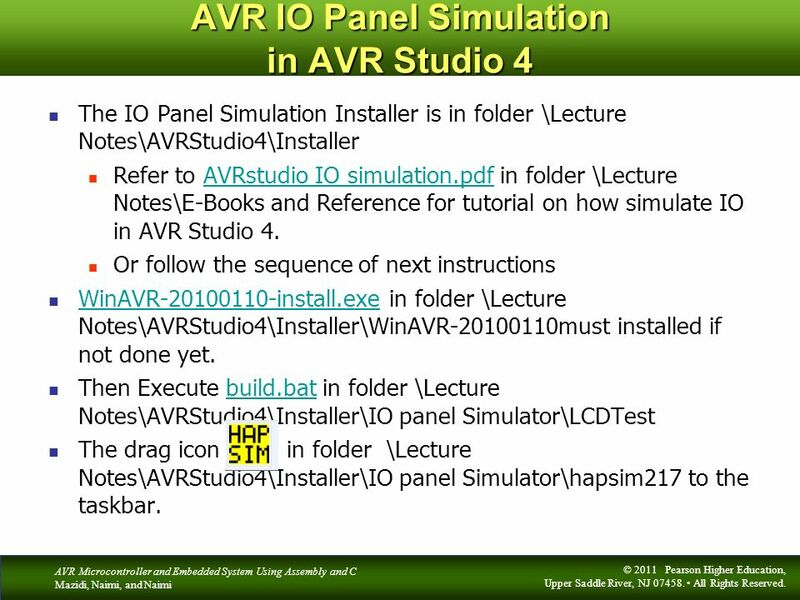 Or follow the sequence of next instructions WinAVR install.exe in folder \Lecture Notes\AVRStudio4\Installer\WinAVR must installed if not done yet. 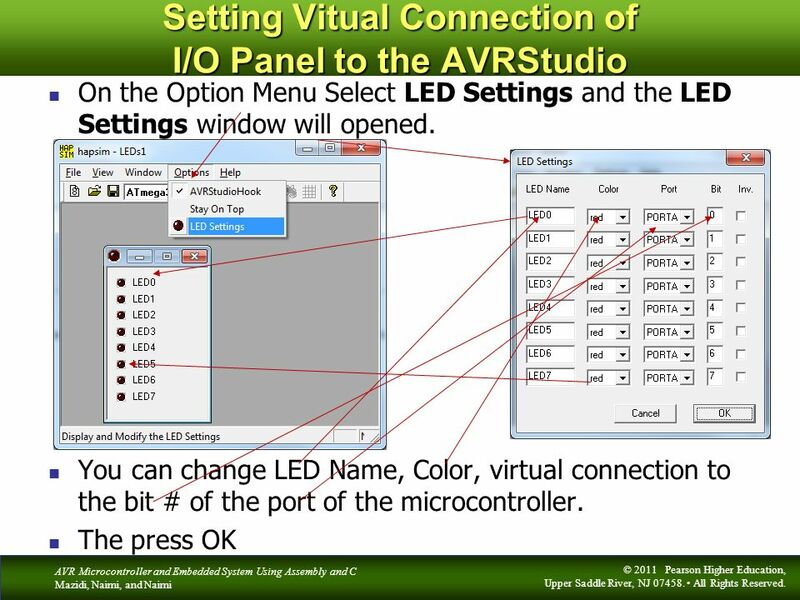 Then Execute build.bat in folder \Lecture Notes\AVRStudio4\Installer\IO panel Simulator\LCDTest The drag icon in folder \Lecture Notes\AVRStudio4\Installer\IO panel Simulator\hapsim217 to the taskbar. 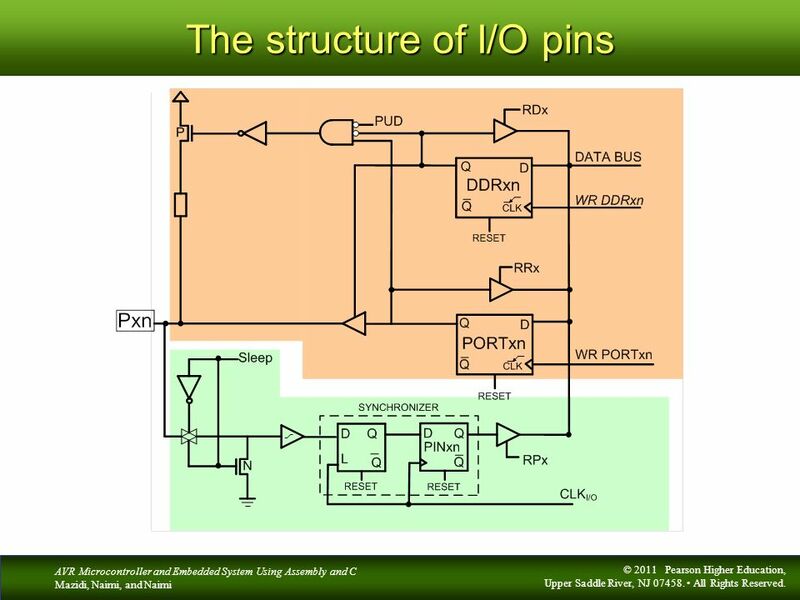 Everytime you need to execute IO Panel Simulation: AVR Studio 4.18 must be executed first. 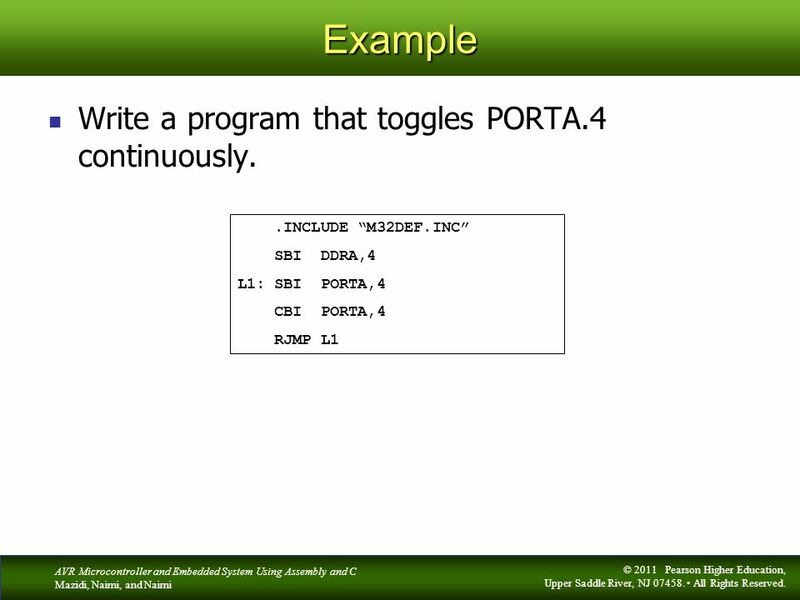 The Execute If executes successfully, the following window will open. 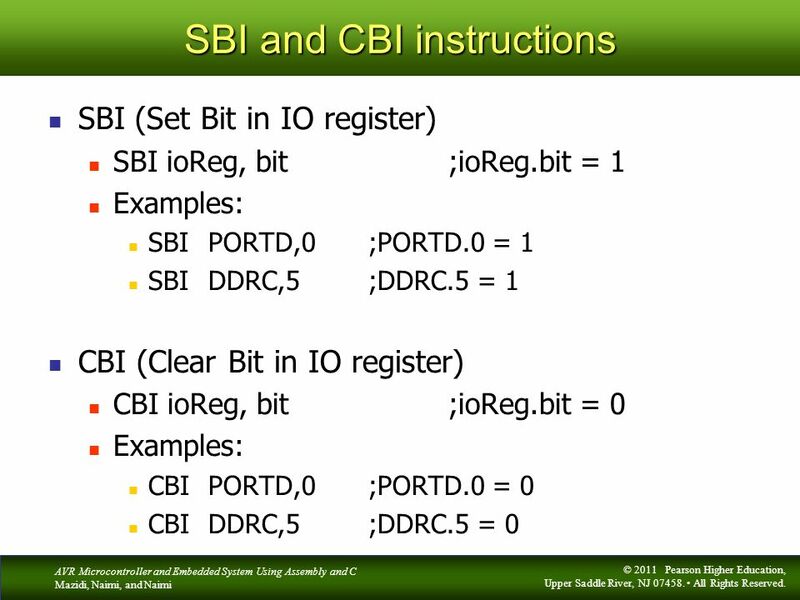 Otherwise check if steps in previous page has been taken correctly. Redo if necessary. 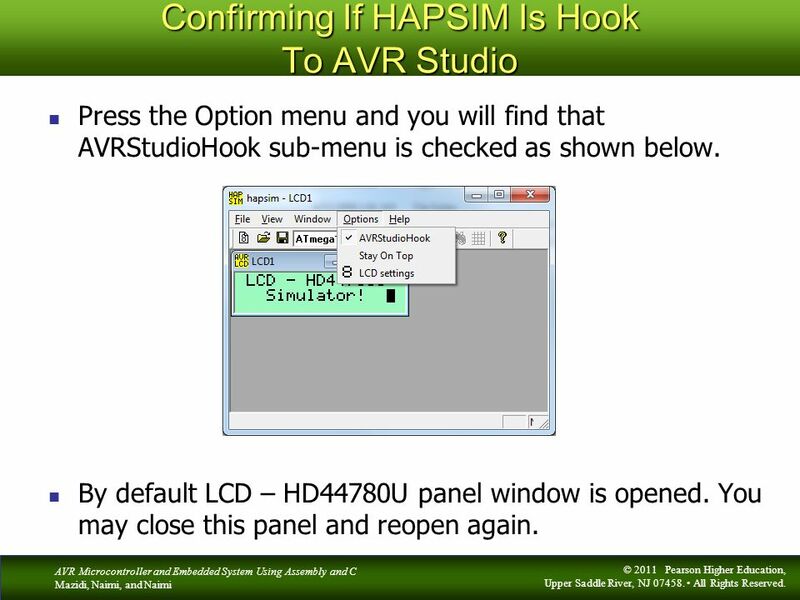 Press the Option menu and you will find that AVRStudioHook sub-menu is checked as shown below. By default LCD – HD44780U panel window is opened. 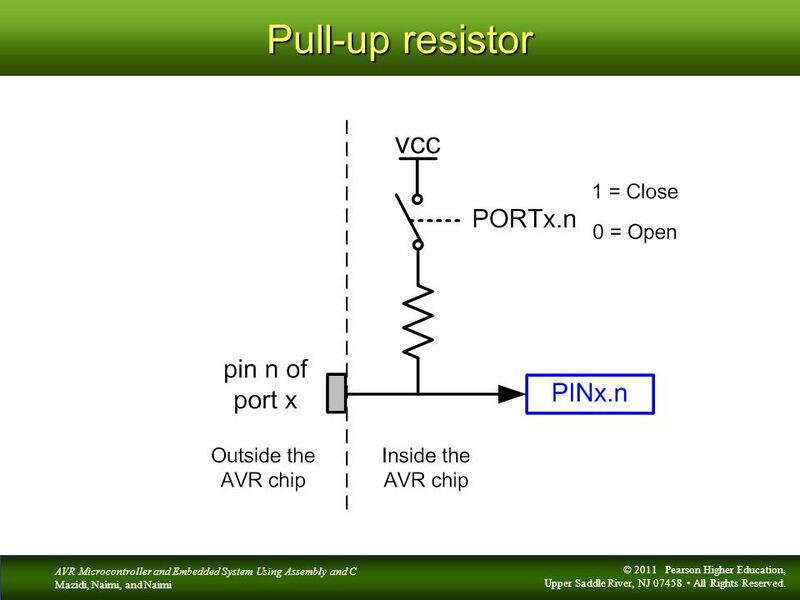 You may close this panel and reopen again. 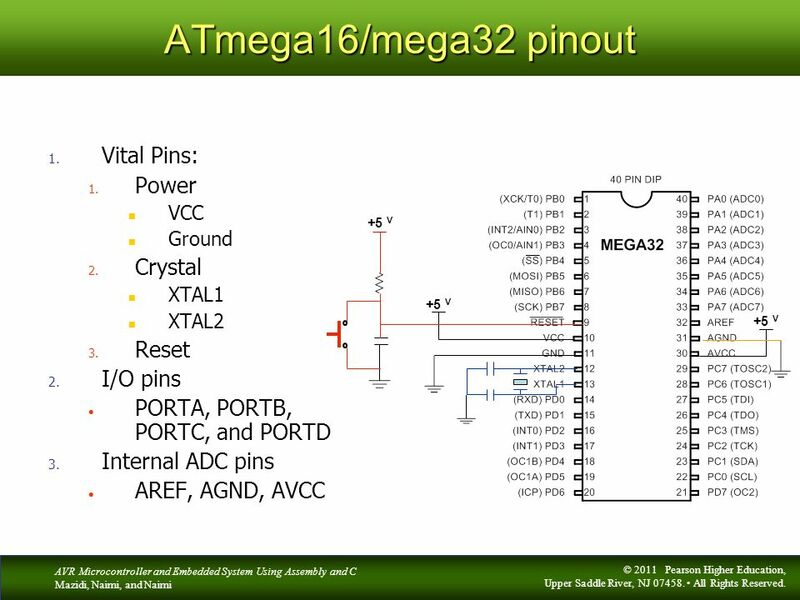 Press the icon and scroll down to select ATmega32 as shown below. 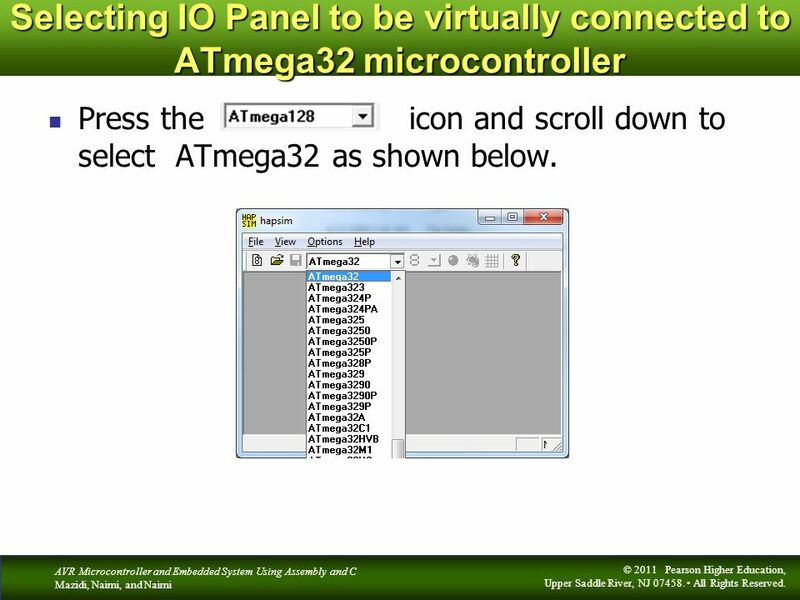 7 Opening An I/O panel Press the icon and the following New window will open over the HAPSIM window. 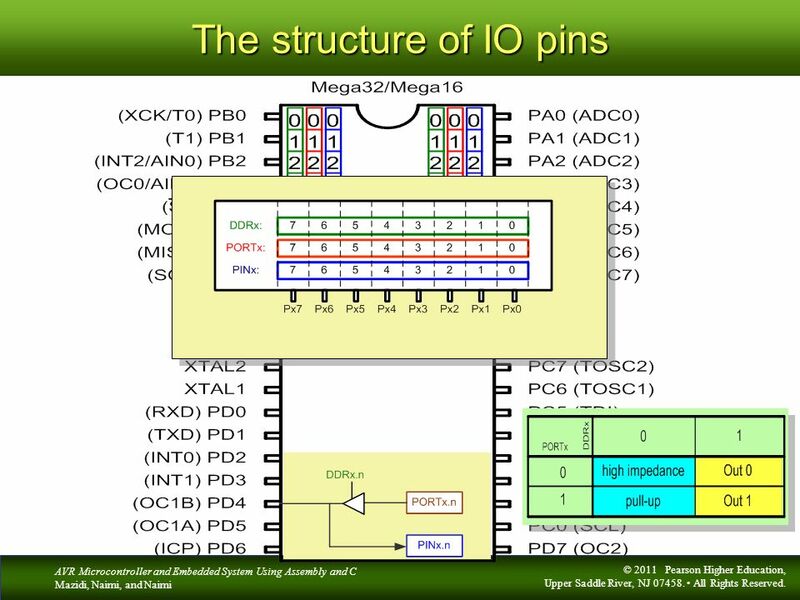 Four I/O panel name will be displayed. 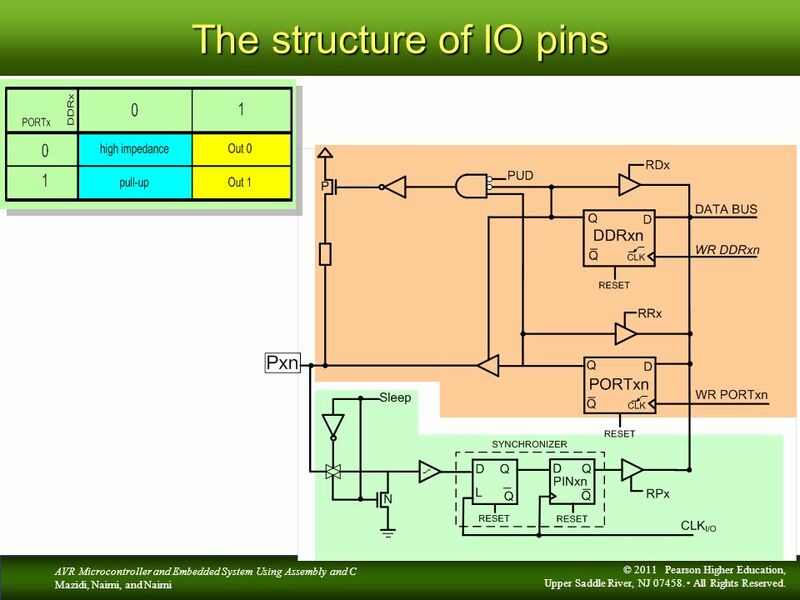 If scroll down you will find more I/O panel name as shown below. 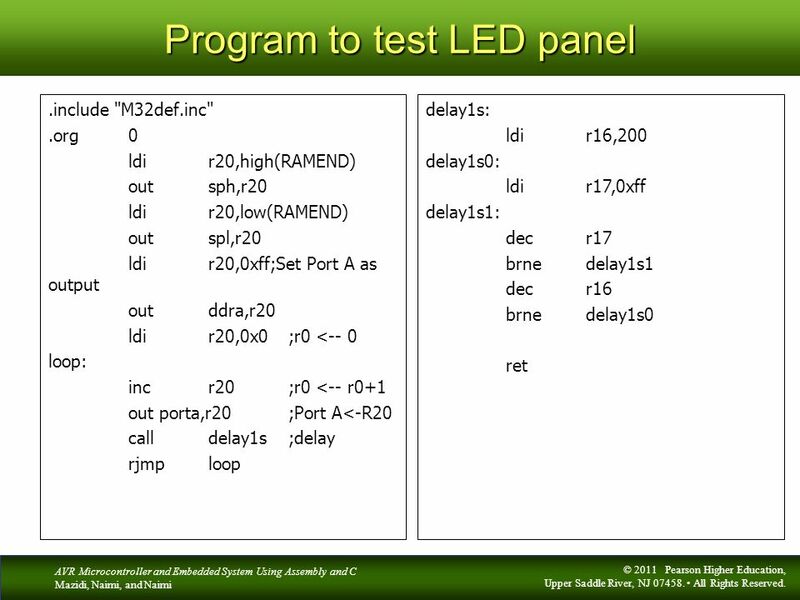 Select the LEDs I/O panel and the LEDs panel will be opened asshown in the bottom right of this page. 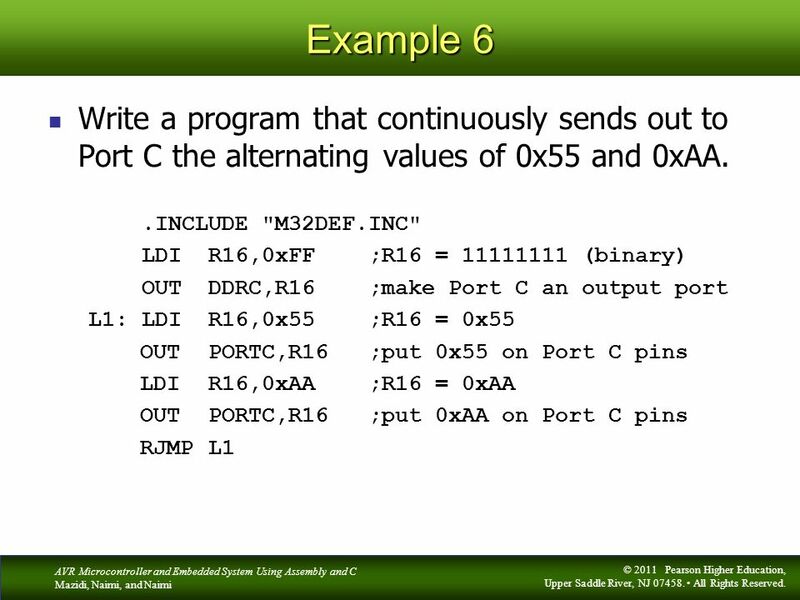 Open a Atmel AVR Assembler project for the ATmega32 microcontroller and write the program in the following page. 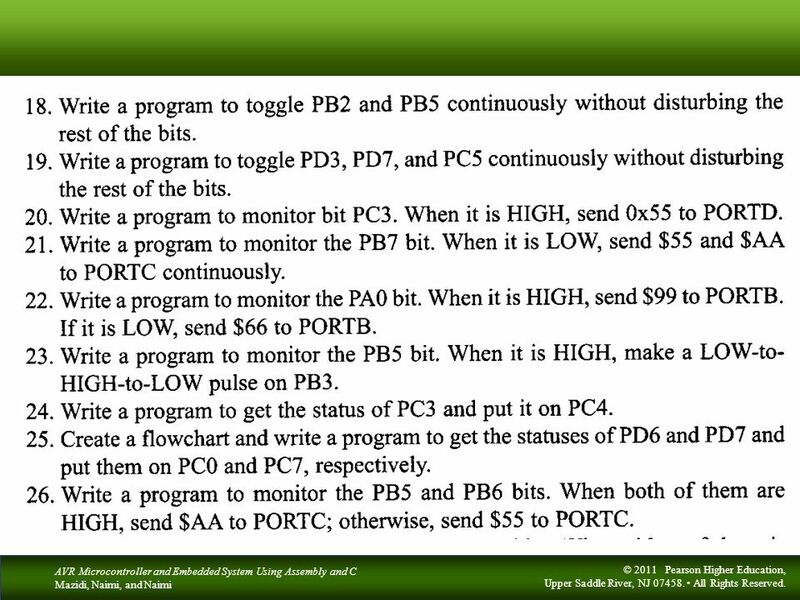 Build and Run the program. 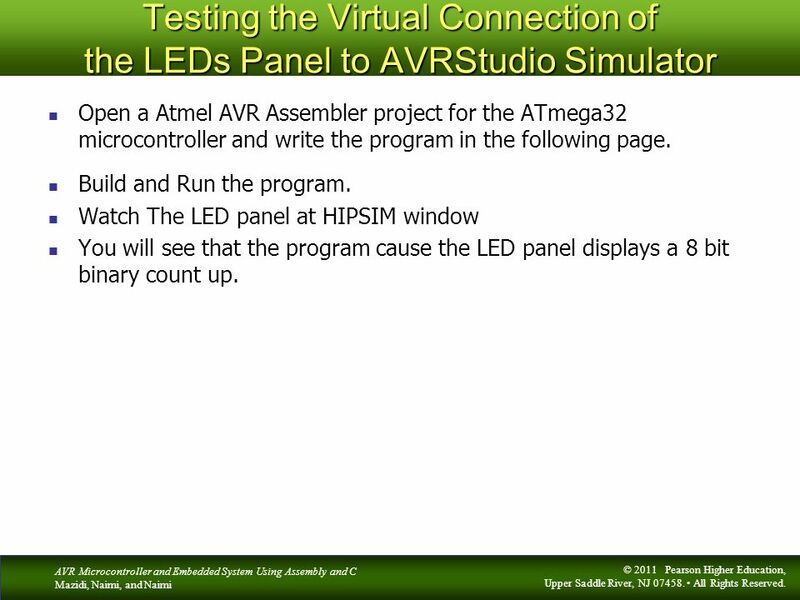 Watch The LED panel at HIPSIM window You will see that the program cause the LED panel displays a 8 bit binary count up. 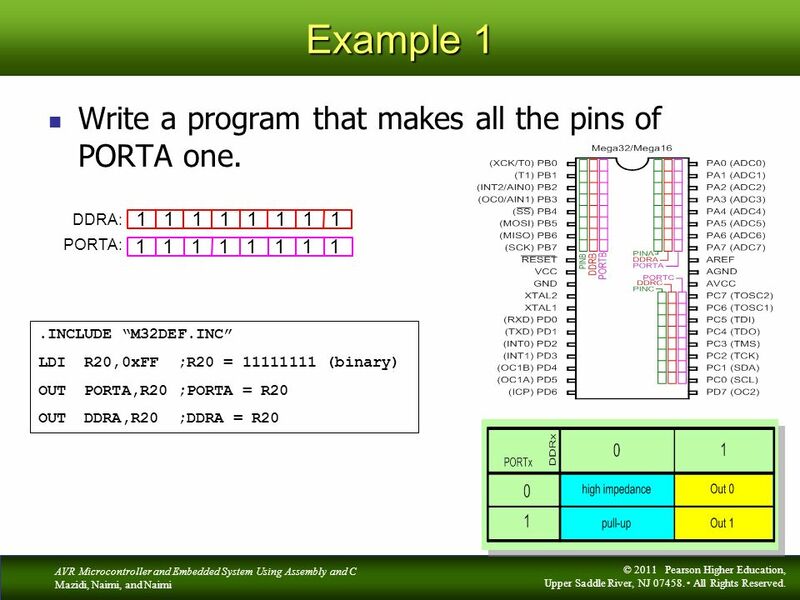 13 Example 1 Write a program that makes all the pins of PORTA one. 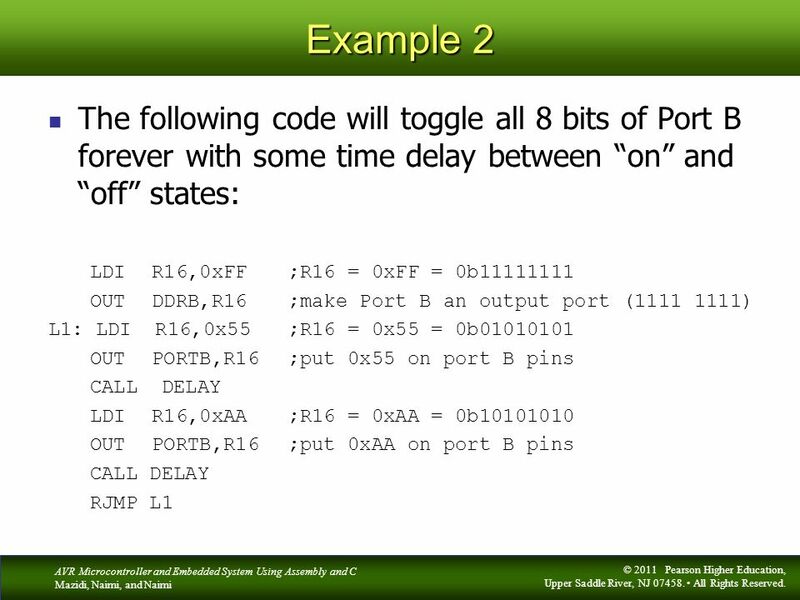 28 Example Write a program that toggles PORTA.4 continuously. 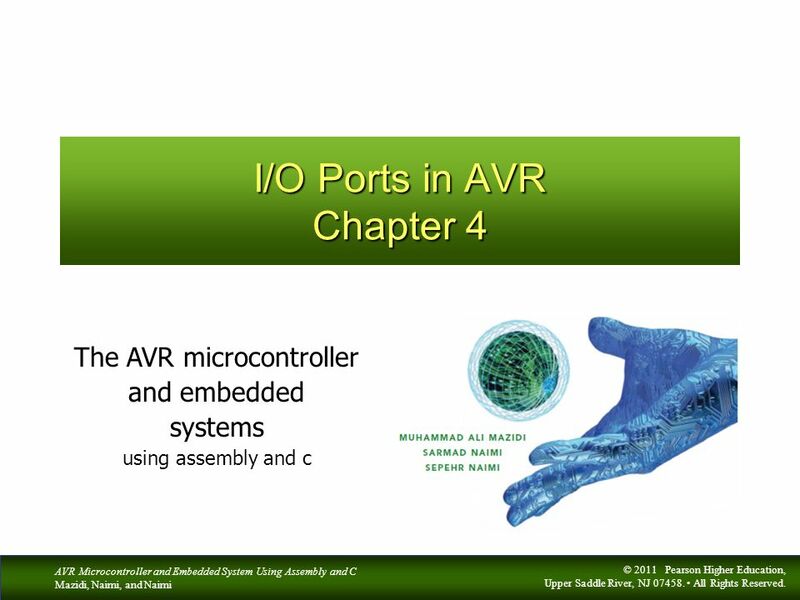 Download ppt "I/O Ports in AVR Chapter 4"
COMPREHENSIVE Windows Tutorial 3 Personalizing Your Windows Environment. 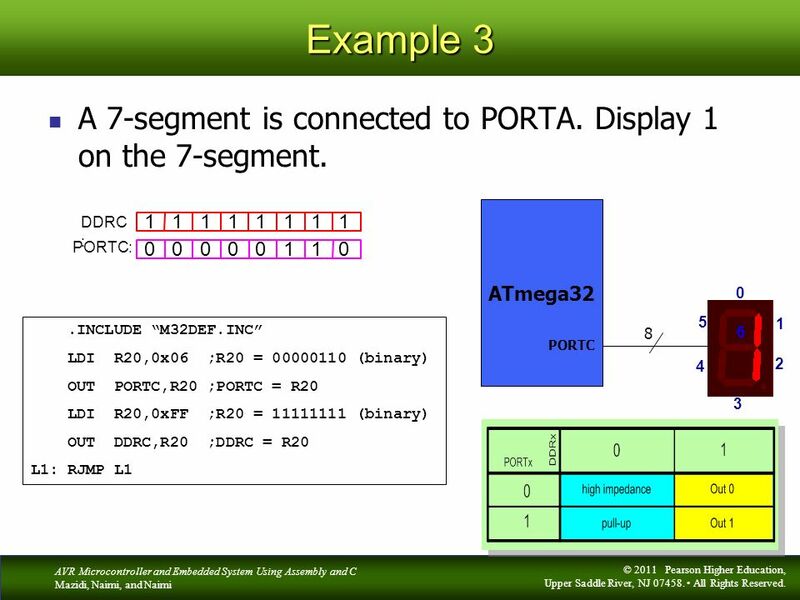 ®® Microsoft Windows 7 Windows Tutorial 3 Personalizing Your Windows Environment. 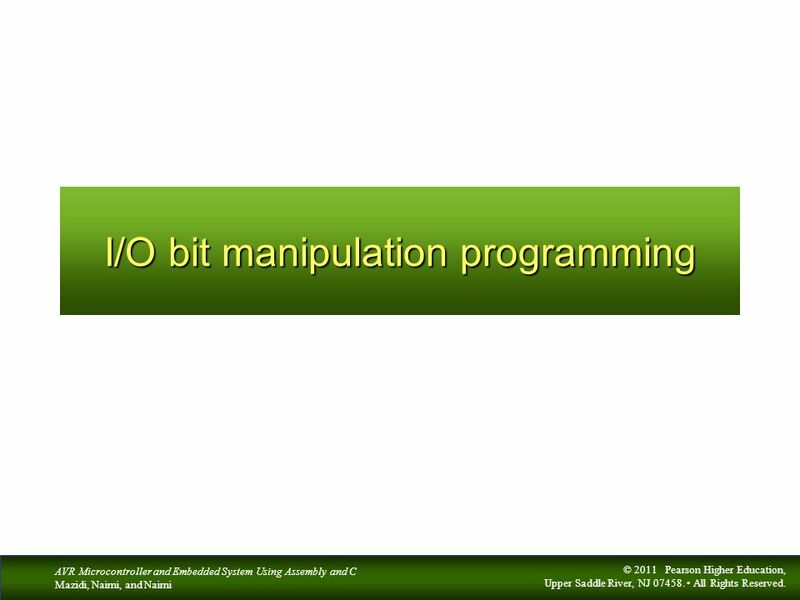 Visual Basic 2010 How to Program. 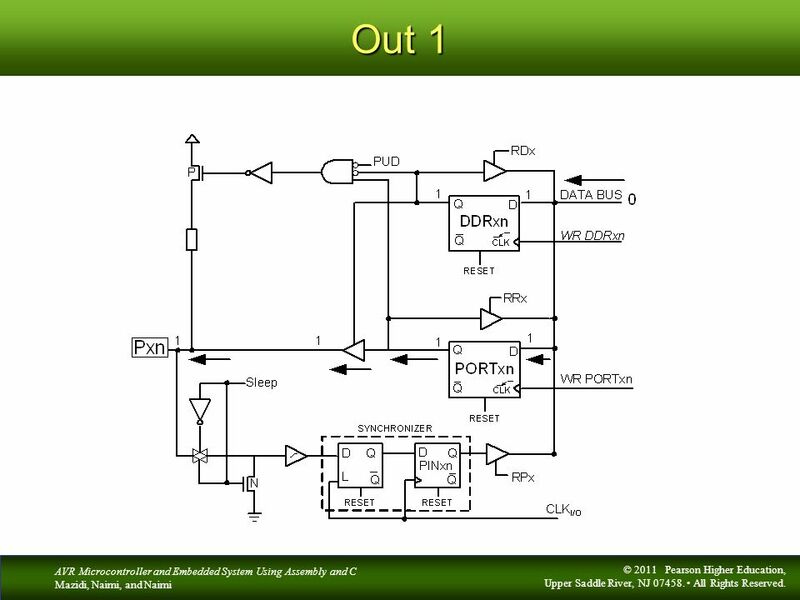 © by Pearson Education, Inc. All Rights Reserved.2. 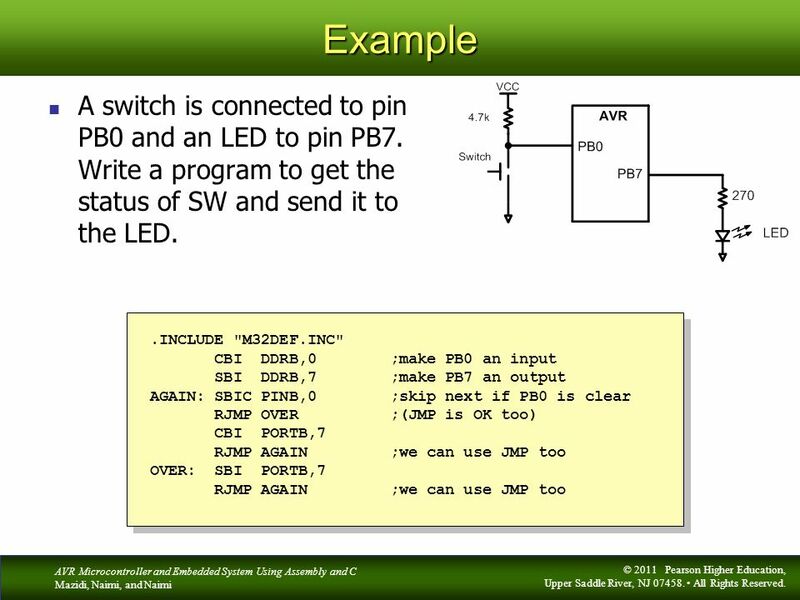 Instructions for Enabling PowerPoint to Use Drag and Drop Macro 1.Open PowerPoint 2.Click Tools 3.Click Options 4.Click Security 5.Click Macro Security. Accessing Predefined Reports, Cubes, and Ad Hoc Presented By: Jennifer Hancock April 2010. 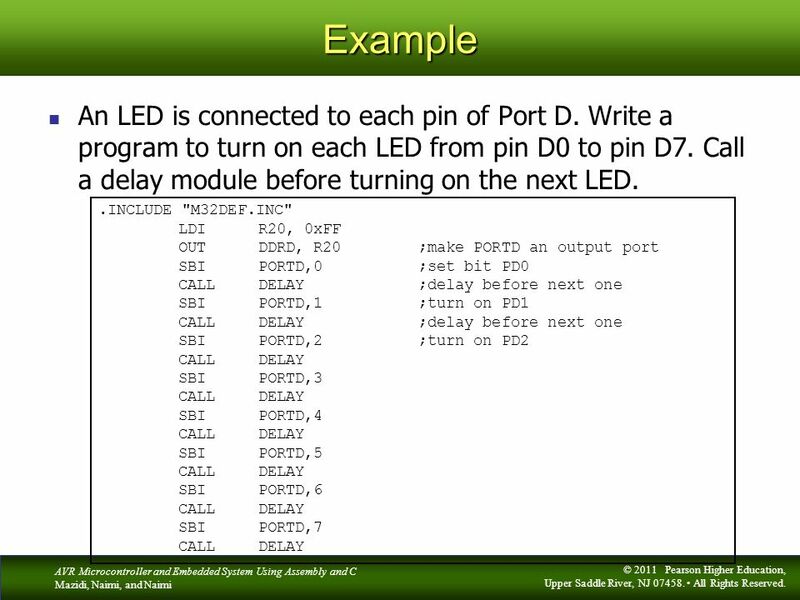 Renesas Technology America Inc. 1 M16C/Tiny SKP Tutorial 2 Creating A New Project Using HEW4. 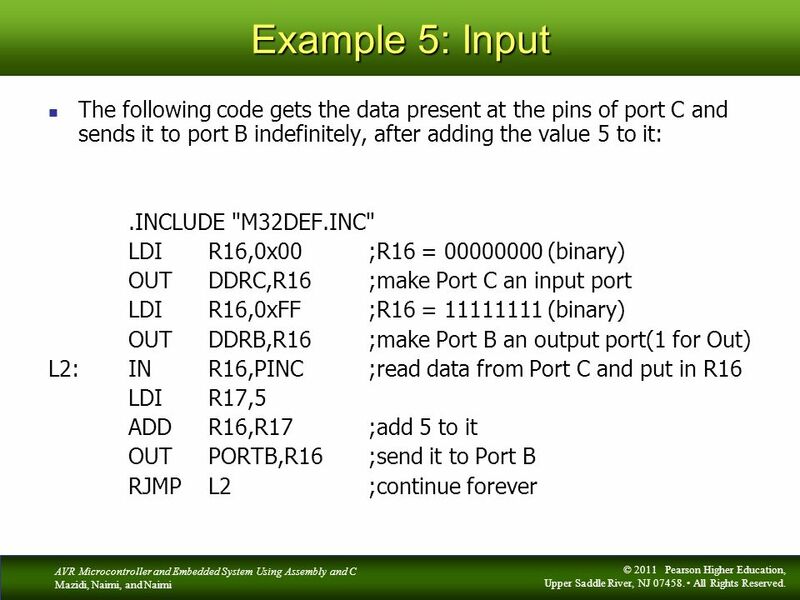 Embedded Systems Programming 1 ETEE 3285 Topic HW3: Coding, Compiling, Simulating. 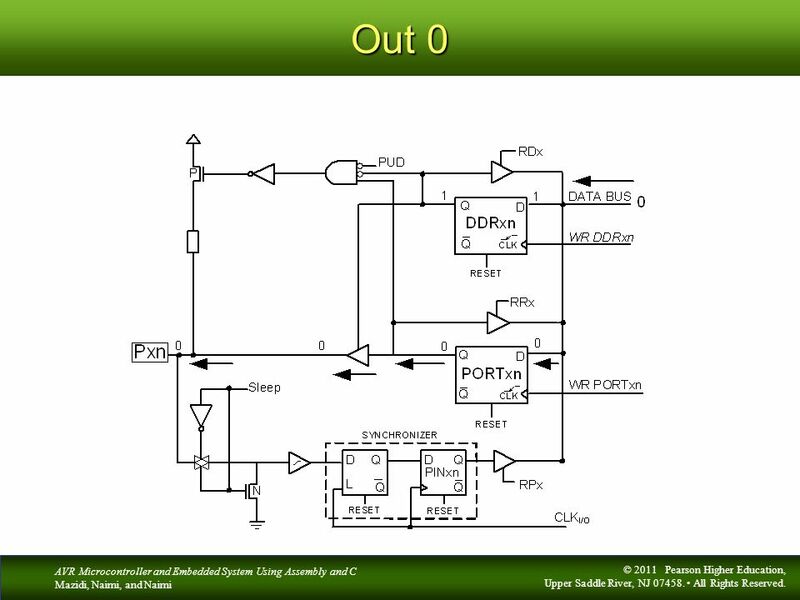 AVR Microcontroller and Embedded System Using Assembly and C Mazidi, Naimi, and Naimi © 2011 Pearson Higher Education, Upper Saddle River, NJ All. 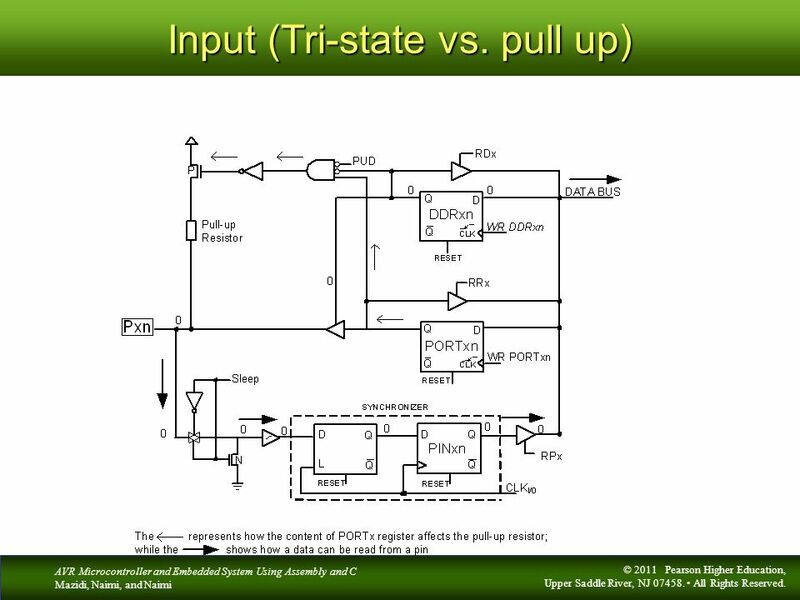 © 2008, Renesas Technology America, Inc., All Rights Reserved 1 Introduction Purpose  This training course provides an overview of the installation and. 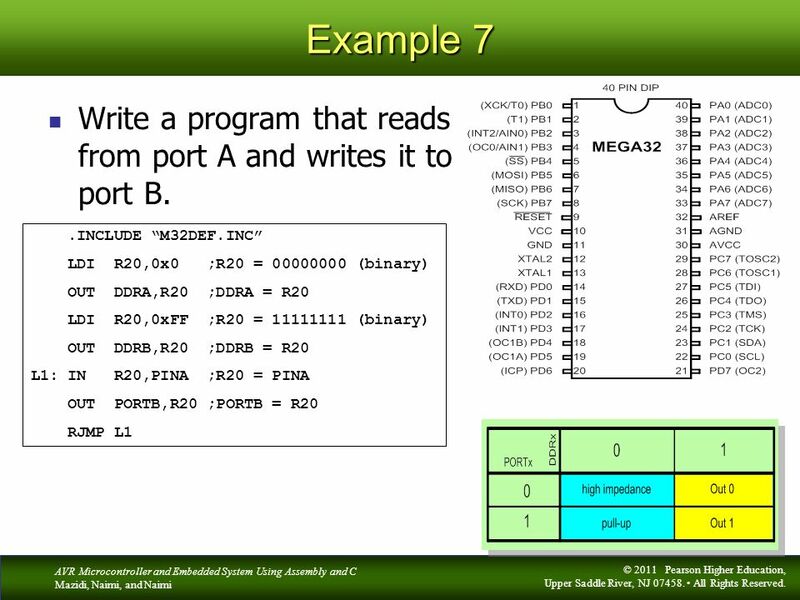 © Copyright 1992-2004 by Deitel & Associates, Inc. and Pearson Education Inc. All Rights Reserved. 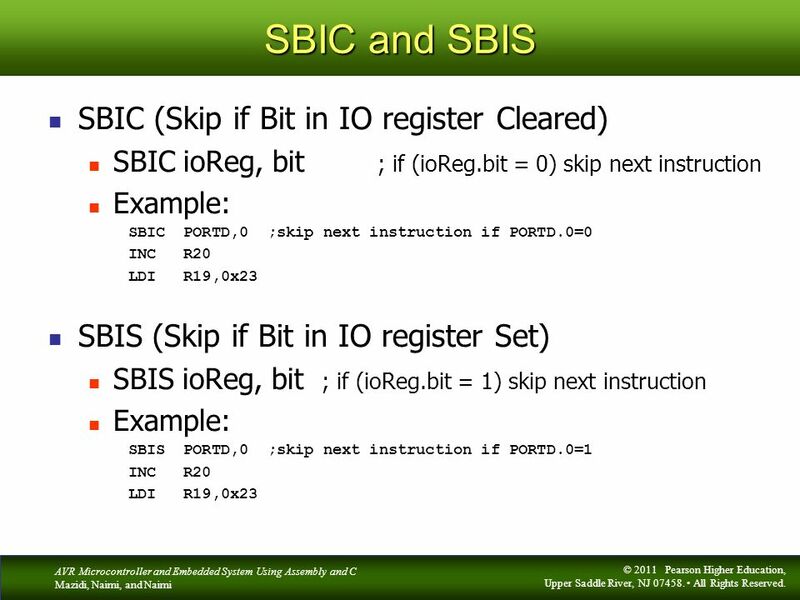 1 Outline 25.1 Test-Driving the ATM Application 25.2.